Hi my name is Candi Nichols. I was born and raised in Louisiana and have lived in Birmingham for 25 years. I am married to my high school sweetheart, for almost 24 years. We have two amazing sons. 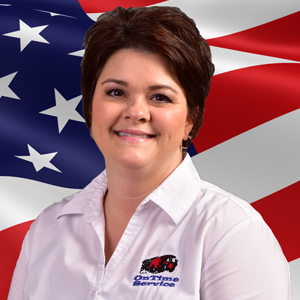 I am the bookkeeper here and I love my job at OnTime Service!